An energy shortage has put Earth into rolling blackouts. The World's Best Scientist informs the president that the solution is to set up a solar energy plant on the moon. Luckily the CatStronauts are up to the task! The team of Major Meowser, Waffles, Blanket, and Pom Pom begin training immediately to save the world. 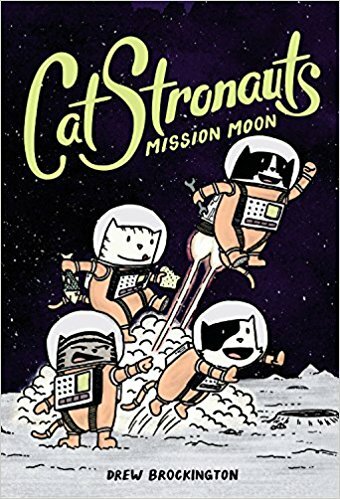 This book had me at "Catstronauts" and a character named Pom Pom. It didn't live up to my giddy expectations but it's still fairly fun.